For 5th trident customers, beside the already-nice overwater bungalow, they have the extra special services and facilities exclusively dedicated to us. 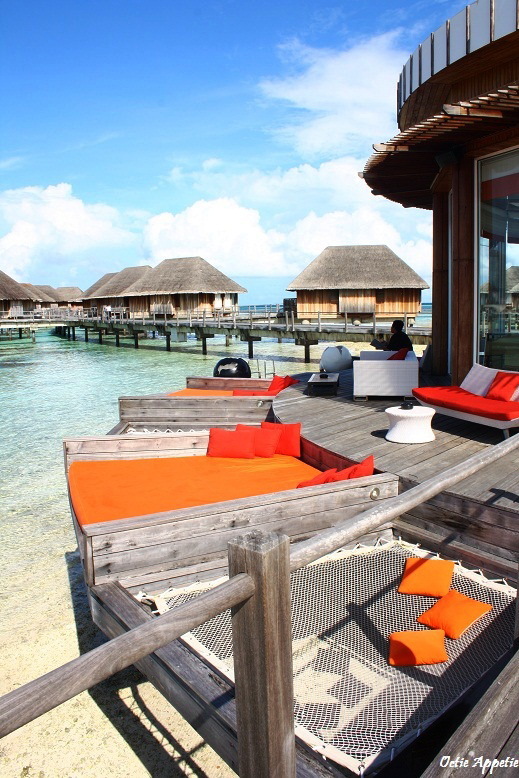 Such as: separate reception, Manta Lounge and private sun bathing area. 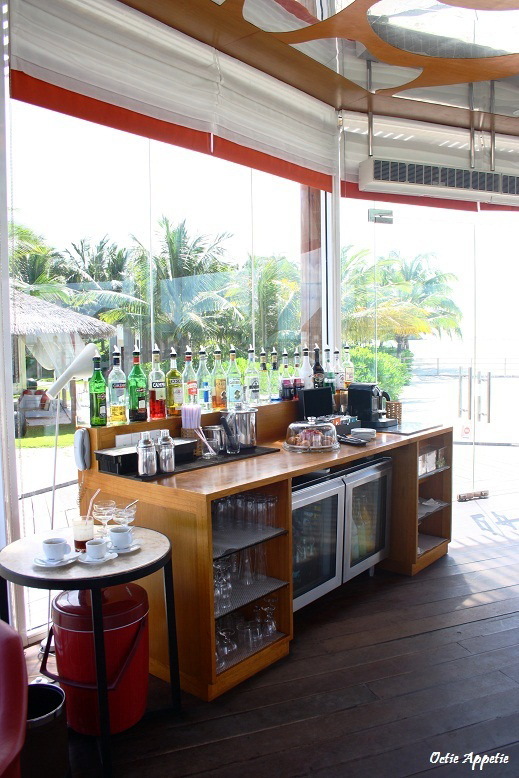 In this lounge, you can order drinks from bartender or even mix your own favourite drinks at your own pleasure. Small snacking and chocolates are available all day long. Moreover, at 6pm everynight they always host a pre-dinner snack and bubble. Of course, I prefer to stay in this lounge, it is so peaceful and cozy complete with power plug and never-finished drinks and my favourite chocolate bars.